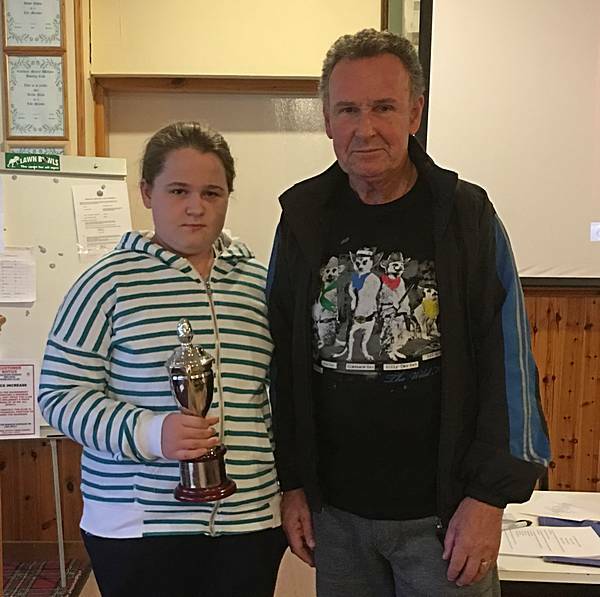 At the meeting on the 5th September, Vice-Chairman, Gilbert Dobbie presented the Jim Hamilton Trophy to Cara Meikle, the Coalburn Primary School pupil in P6 with the best heritage project last year. Cara is now at Lesmahagow High School for the 2018/9 session. At the meeting of the Society on the 20th September, Joan Barr gave an interesting talk on William Roy (1726-1790) who was born near Carluke and became responsible for the first reliable military maps of Scotland. From that success, he went on to produce the first accurate ordnance maps of Southern England and was given the military title of Major-General. Roy's work became the foundation of the Ordnance Survey. Joan is seen here with a book of Roy's maps. L to R: Jim Plenderleith, Peter McLeish (Chairman of the Society) and John Donnachie. Jim and John were born in Coalburn but now both live in Carluke. At a meeting on the 18th October, John gave a very interesting presentation (assisted by Jim) on "Old River Crossings on the Clyde" in which he showed photos taken from a microlight of the Clyde from Abington to Crossford. In these, he showed the position of early fords, ferries and bridges. This was augmented by his photos of bridges today. On the 1st November, Bill Love, a former librarian, outlined the life history of Sir Arthur Conan Doyle and his writings. He is shown here with the book he recommends, "The Complete Sherlock Holmes Short Stories". Alastair Dinsmore MBE, Curator of the Glasgow Police Museum and Chairman of the Glasgow Police Heritage Society with Peter McLeish (left), Chairman of the Coalburn Heritage Society. On the 6th Dec 2017, Alastair gave a most elightening talk to the Society on "175 years of the History of Glasgow's Police". The speakers on the 8th February were David and Rozsa Halls with a talk entitled "Photos from Near and Far". David showed photos of villages around Lesmahagow (Boghead, Brocketsbrae, Bellfield and Burnfoot) and then Rozsa talked about Hungary with images of Berhida, Herend, Vesprem and Budapest. The photos above are of Boghead, South Lanarkshire and the Parliament Buildings in Budapest, Hungary.